This course is beneficial especially for continuous process industry and utilizes sophisticate and expensive production equipment, such as: Oil and Gas Industry, Electricity Plant, Petrochemical Plant, Marine Industry, Manufacturing, Automotive, Assembling Industry, Aviation, Construction, Pulp and Paper, Mining, etc. The course is designed by considering the need of maintenance method that reliable to ensure the success of production, a method of maintenance to push downs a break down or unplanned disturbance. The requirement of efficient and effective method of maintenance becomes more important when plant facility is automatic system. The big loss can come, if it is late to improve maintenance operation system, low productivity, wasting working hours, last production, engine big failure, and in-harmony relation with customer, successful. 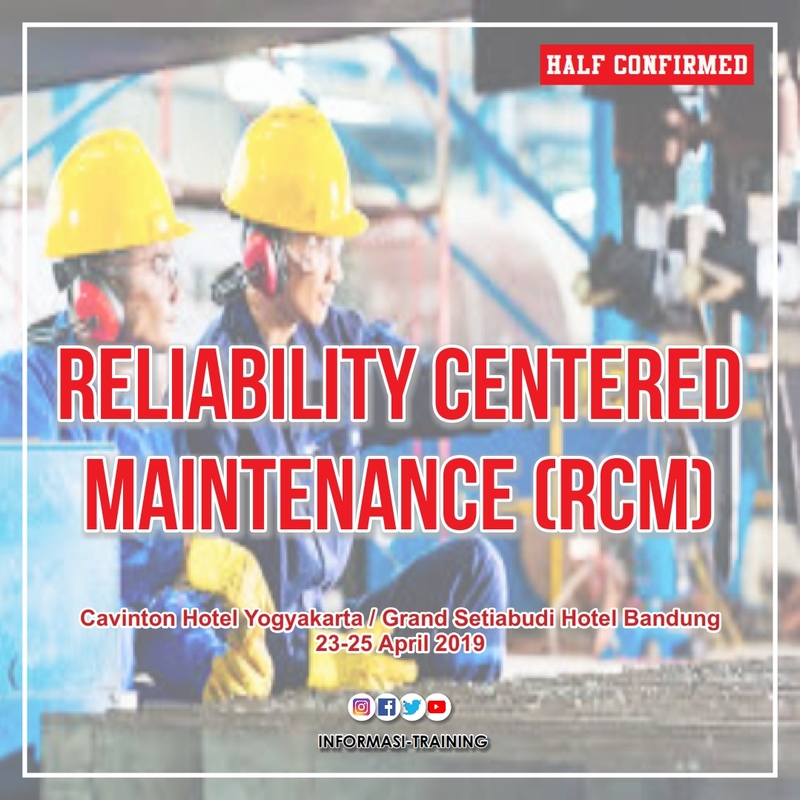 To understand the Reliability-Centered Maintenance (RCM) as basic of maintenance management implementation or as an aid-tool for cost management and as part of project management. To avoid total failure by knowing what kind of failure will happen. What is Reliability-Centered Maintenance (RCM)? How to number the asset? What kind of information has to be registered? How to compile plant registration? WHO SHOULD ATTEND RCM TRAINING?